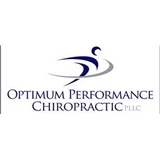 Optimum Performance Chiropractic (New York) - Book Appointment Online! We understand the unique physical demands of an active lifestyle and provide a drug-free approach to relieve pain and accelerate recovery. We provide the latest chiropractic solutions to relieve muscle and joint pain including back pain, neck pain and sports injuries. Whether you are recovering from an injury or want to maximize your physical health, we support your active lifestyle. I have high hopes with Dr. Tran. He’s given me more information than a lot of other doctors which is great, and he also confirmed another suggestion from another doctor for pain management which I was very hesitant. It’s just the beginning but I’m optimistic, and he listened., and got what I was saying right away. I also felt very comfortable with him.